Successful union activism, the crucial anti-union Janus U.S. Supreme Court ruling, and the early start and successful conclusion of the 2018 election dominated the year for workers and their allies. Workers started the year facing the huge onslaught of the radical right, corporate chieftains and criminals, and their political (usually, but not always, Republican) puppets. Their response was to go on the offense. But that’s not to say they always won. There were, however, a lot more wins than anyone expected in 2018. And they were capped at the end of the year by the massive electoral sweep. It pitched the GOP out of power in the U.S. House, where progressive candidates running on ideas such as the “$15 and a union” minimum wage, Medicare for All, and free public college education often won. 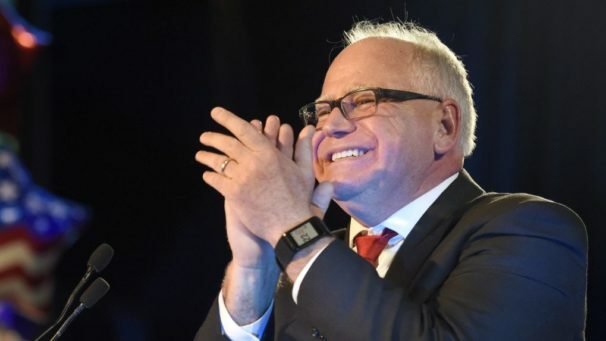 Workers and their allies also overturned right-wing GOP governors in Wisconsin and Illinois, replaced another right-winger in Michigan with a Democrat, and elected a union teacher, Tim Walz, as the next Democratic-Farmer-Labor governor of Minnesota. And in Missouri, now a leaning-GOP state once heavily unionized, the Republican effort to cement their right-to-work law lost in a statewide referendum by a two-to-one ratio. That vote, along with openly pro-union Democrat Conor Lamb’s special election win in a gerrymandered heavily GOP Pennsylvania congressional district, forecast November’s sweep. But the continuing story of 2018 was symbolized by what happened in West Virginia. Rank-and-file teachers, having had it up to here with exploitation, took to the streets. So did victimized workers in fast food, warehouses, and other jobs. More often than not, they won. The movement began at the southern edge of the Mountaineer State, in Mingo County, in the dead of winter. There teachers and staffers, faced with the GOP governor and legislature offering them a 1 percent raise after a decade of none at all statewide, along with a pension cut and a huge hike in health insurance premiums, voted unanimously to strike. But it wasn’t just over pay, as bad as it was. National Education Association data showed the state near the bottom in pay. The teachers wisely declared it was so they could teach their students, and they couldn’t do that well in crumbling buildings with erratic heat and using 25-year-old books. Overnight, teachers in three more counties joined in. Then another four. Then eight more. In just days, a map in the state Education Department that indicates whether a particular county’s schools are open (blue) or closed (red), usually due to weather, was completely red. 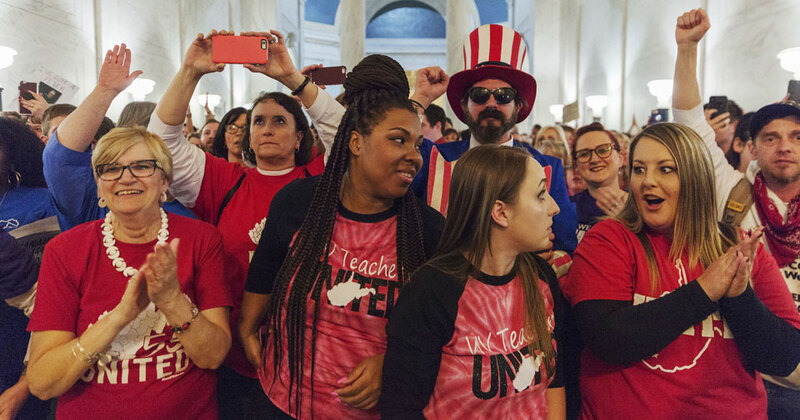 The West Virginian teachers, in a grass-roots movement joined by parents and other workers—with union leaders scrambling to catch up—ringed and mobbed the state capitol. The schools stayed shut for nine days before legislators and the governor gave in. All West Virginia state workers got a 5 percent raise, the pension rollback was undone, and the state committed more money to fixing the schools and buying new books, among other things. And the West Virginia forced walkout snowballed. “First, West Virginia! Next, Oklahoma!” the teachers yelled at a victory rally around the state capitol building in Charleston. And that’s what happened: First West Virginia…then Oklahoma…then half of Kentucky…then Arizona…then Colorado. All except the last “red” and right-to-work states. Politicians had shortchanged schools in favor of tax cuts for the rich. There were big organizing wins, too. Many involved schools: Unions won recognition for the underpaid, overworked RAs and TAs from coast to coast—from the University of Washington all the way to Harvard. And while other unions organized grad students, the Teamsters won among the undergrads at the University of Chicago Library System. The News Guild kept racking up organizing wins from Florida to L.A. They included one longtime Chicagoans never expected to see: Card check recognition at the notoriously hostile Chicago Tribune. The U.S. Supreme Court was another matter. In a decision that virtually every union knew was coming, the justices voted 5-4 along party lines against public worker unions in the Janus case. And President Donald Trump, whose minions spent 2018 overturning pro-worker rules left and right—from job safety and health to protection of pensions—named anti-worker ideologues Neil Gorsuch and Brett Kavanaugh to the High Court, over labor opposition. The practical effect of Janus was, as contracts expire in non-RTW states, to turn every state and local government worker in the U.S.—teachers, firefighters, police, nurses, corrections officers, school custodians, whomever—into a “free rider,” who could use union services and protections on the job without paying one red cent for them. The aim of the radical right and the so-called National Right to Work Committee, which funded the case featuring dissident Illinois state worker Mark Janus, was to kill unions by taking away their money, collected in “agency fees” covering bargaining and grievances. As of year’s end, Janus hadn’t worked. 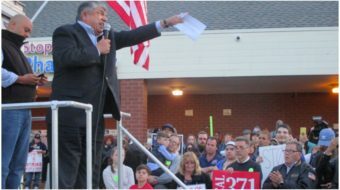 Unions and workers, led by the State, County, and Municipal Employees, the Service Employees, the Teachers (AFT), and the National Education Association, fought against the RTW crowd in court, but also prepared for the losses. They went door-to-door among their own members and non-members, asking workers what they wanted from their unions and convincing them to either register or re-register. Some unions already had experience in such personalized canvassing. The year before, emulating radical right Wisconsin GOP Gov. Scott Walker, Iowa’s ruling Republicans enacted a law requiring each public worker union at every unionized public worksite statewide to stand for recertification by an absolute majority of all workers—not just union members and not just those voting—before bargaining began. The results? 94 percent of Iowa unions won. And despite the High Court, public worker unions—notably those for federal workers—won in court against Trump. He issued executive orders to emasculate those unions just before Memorial Day. 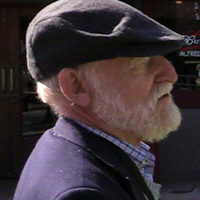 The Government Employees (AFGE), the Treasury Employees (NTEU) and their allies challenged his edicts in federal court. They won. 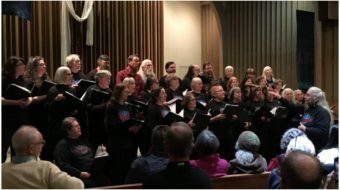 The door-to-door training also put workers and unions out on the streets politically earlier and more comprehensively than ever before in an off-year election. The millions of door knocks, phone calls, pamphlets, face-to-face contacts, and social media posts paid off. Wisconsin voters showed Walker the door. He lost to Democrat Tony Evers, the state superintendent of public instruction. So did right-wing Illinois GOP Gov. Bruce Rauner, who was clobbered by union-backed Democrat J.B. Pritzker. Education Minnesota member Walz won in Minnesota and brought a Democratic-Farmer-Labor majority into the state House with him. Democrat Gretchen Whitmer, a one-time AFT member, will be Michigan’s governor, replacing a Republican. And California is so pro-union that Lieut. Gov. Gavin Newsom easily succeeded his boss, Jerry Brown, the legislature has a progressive supermajority, the U.S. Senate race was won by Democrat Dianne Feinstein, who faced not a GOPer, but fellow Democrat Kevin de Leon, and the Golden State’s congressional delegation will be 46-7 Democratic. 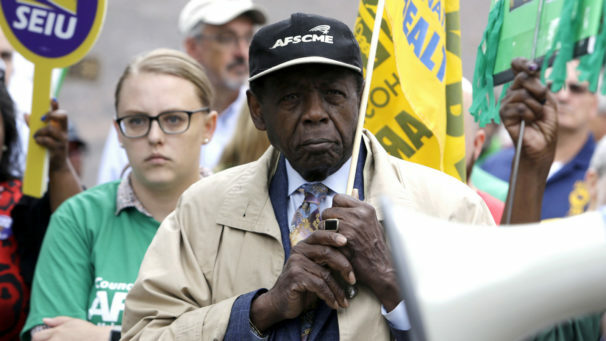 And the city of Danbury, Conn., will have the unusual distinction of having union members representing it in both Washington (Hayes) and the state senate in Hartford (Julie Kushner of the UAW). All this and more marked 2018 as a memorable year for workers and unions.